Snuffle Dog Beer Is Made In Belgium. 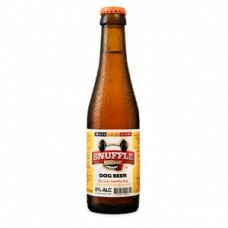 Snuffle Dog Beer Is a Healthy Dog Drink For Dogs! Made In a Real Brewery. 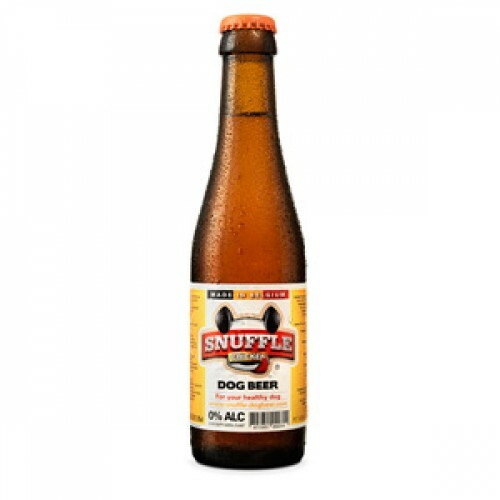 Snuffle Dog Beer Is The Ultimate Liquid Refreshment, Designed Especially For The Dog. Made With Beef And Malt Barley Extracts For a Taste That Will Have Dogs 'Taste Buds Twitching. Technically Snuffle Is Not a Real Beer: It Contains No Alcohol Whatsoever And It Is Non-Sparkling. Do Not Serve It Too Cold As It May Cause a Tummy-Ache, Just As Cold Water Would.